Real Kashmir FC are the story of this year’s I-League, setting the Valley alight, stunning heavyweights, all the while staying in the mix for the title. New Delhi: In 2010, Inshaallah Football, a documentary chronicling the aspirations of a young Kashmiri footballer, Basharat, captivated Jammu and Kashmir. It revolved around his struggles to get a passport — to play a tourney in Brazil — denied to him over his father’s alleged role in militancy. Now, after many summers of strife, the Valley is once again in the thrall of the sport it has a long association with. 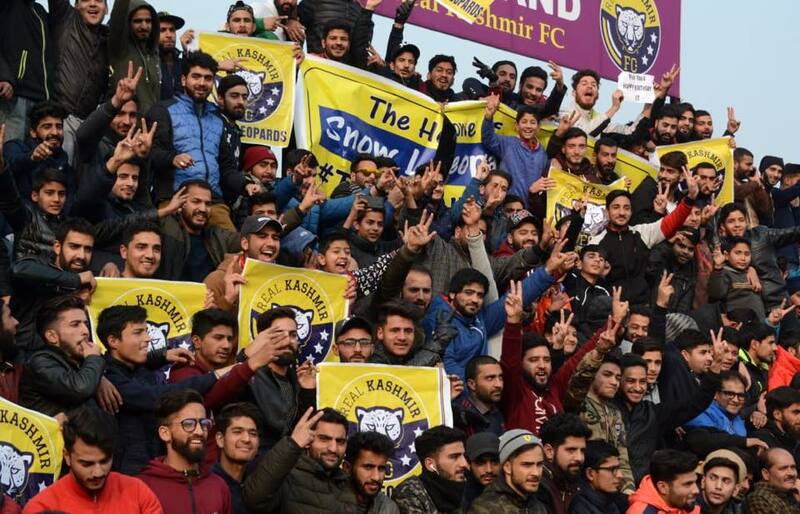 At the heart of this Kashmiri football renaissance is a three-year-old club that has been creating waves in the top tier of the Indian domestic league. Last Sunday, Real Kashmir Football Club, the first Kashmiri club in the I-League, the country’s top flight, pulled off its biggest heist in its fairy-tale run, stunning Kolkata giants Mohun Bagan 2-1 in an entertaining encounter at the Salt Lake stadium. 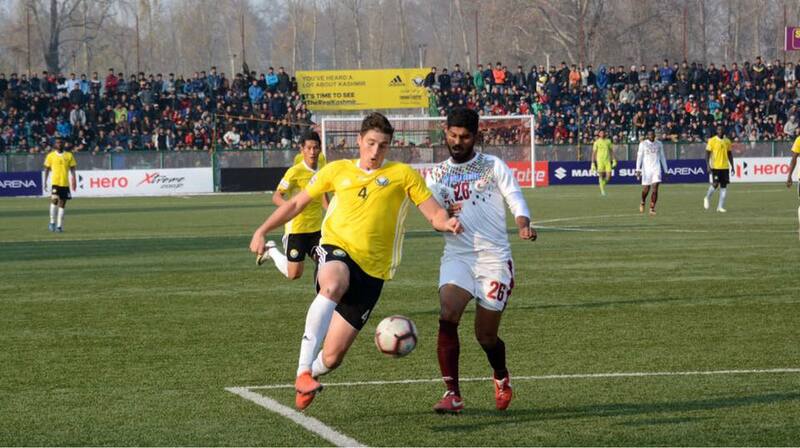 The win kept Real Kashmir FC’s unbeaten away record, in its debut I-League season, intact. More importantly, it left the minnows just three points adrift of league leaders Chennai City, keeping them very much in the mix for the league title. It is a remarkable rise for a club that only turned professional in 2016. And all the more impressive given that Real Kashmir FC, dubbed the Snow leopards, went the entire 2017-2018 season unbeaten in the second division when winning promotion to the I-League. Such is the story, given the context and the setting, that the journey is being followed worldwide. In early November, the Italian giants, A.S. Roma, who have a popular Twitter handle, honoured the team, terming its journey a true “footballing fairytale”. When David Robertson, the former Glasgow Rangers and Leeds United left-back, left a 10-year coaching stint at the Phoenix FC in Arizona, US, to take up his next assignment in India, all he could think of was a country with “hot weather”. It was only when he landed here in 2016, he says, that he realised that he was to coach a team based at the foot of the Himalayas. “It has been a totally different experience than I expected. Cool weather, power cuts, patchy internet,” the 50-year-old Robertson says. Robertson and the team’s owners —journalist Shamim Meraj and businessman Sandeep Chattoo — are behind the team’s rise. So, he says, he turned to a familiar setting to set that right. The next summer the team went to Germany. Robertson says the team was initially realistic about its chances and wanted to first to establish itself but soon found itself on a winning run that just “goes on now”. And if there was any doubt of Robertson’s commitment to the cause, he put that to rest by signing son Mason Lee Robertson, 24, at the start of the current season. The lanky centre-back has been vital to the team’s run, which has relied on defensive stability — Real Kashmir FC has the most number of clean sheets (6) this I-League season. Mason has also chipped in with crucial goals including the brace that sealed victory over Mohun Bagan. Much of the credit for the team’s phenomenal run, Robertson says, goes to the “camaraderie” between the players. The majority of the 30-member squad are Kashmiris, though the playing 11 does not reflect that. Of the players, 14 are Kashmiris, six foreigners and the rest are from other states in the country. And not all of the players are even full-time professionals. Take midfielder Shahnawaz Bashir, 30, whose day job is as a senior accountant in the Accountant General’s office in Srinagar. “Whenever the situation gets too volatile, like in 2010 and 2016, it ends up creating even more hurdles for sportsmen,” he adds. Like Bashir, midfield colleague Khalid Qayoom, 28, works in the same office. His love for football, he says, draws him to the game. “There is no limit to the struggles of a Kashmiri so that was the case with me. I come from a middle-class family so there was no question of picking football as a career, especially in Kashmir,” he says. It was after the 2014 devastating floods in Srinagar that journalist Shamim Meraj called up his friend Sandeep Chattoo, a businessman, as he wanted to offer something to the youth of Kashmir who were sitting idle back then. When the owners approached the Jammu and Kashmir Football Association to register the team, they were told that they could participate in the I-League second division. But funds, Chattoo says, were a problem. When David was roped in ahead of the 2017-18 season, Meraj opened his doors for his stay. The players had to be put up at the boutique hotel in Srinagar that Chattoo owns. He, however, expresses gratitude to Governor Satya Pal Malik for helping improve infrastructure at the TRC ground in Srinagar, which the team shares with the I-League second division side Lonestar Kashmir FC. 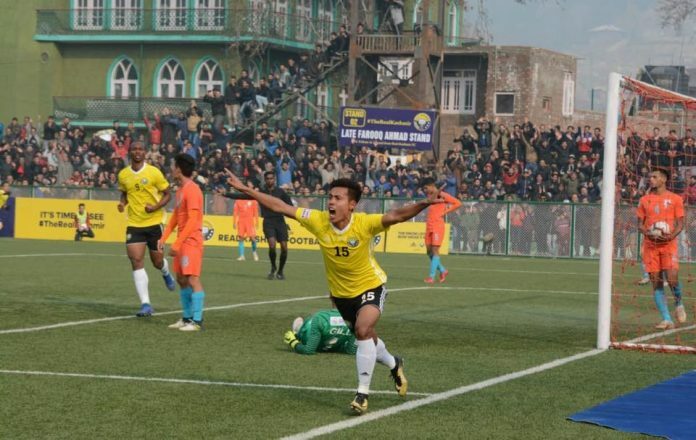 Chattoo says the turning point came when the team won the second division of the I-League, earning promotion to the top flight of Indian football. 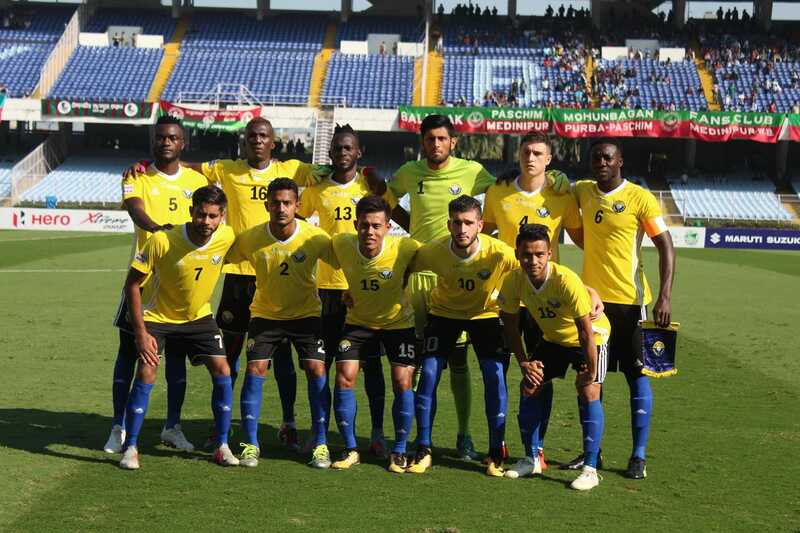 Not only did promotion help the team’s profile and self-belief, but it also brought in some much-needed sponsors — the Jammu and Kashmir Bank and Adidas, which supplies the players kits. Real Kashmir’s run has had another unexpected outcome. It has revived interest in the sport in this violence-rocked region. Its home games at the Tourist Recreational Centre (TRC) stadium, for instance, have been played in front of packed stands. He adds that Srinagar has also stood up and been counted in its hospitality to visiting teams. 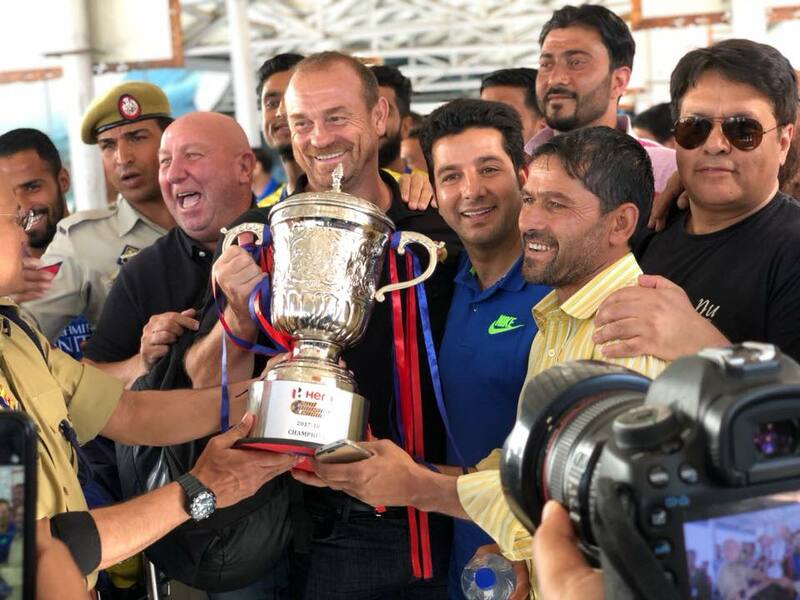 “The crowds have been so well behaved and the teams that visit have been smitten by the hospitality, which is the true spirit of Kashmir,” Chattoo says. Another aspect of the club hasn’t gone unnoticed in these parts — the friendship between Chattoo and Meraj. While Chattoo is a Kashmiri Pandit, Meraj is a Kashmiri Muslim. Chattoo, however, downplays it, saying while it does send a “positive message”, the club would like to stay away from politicising any issue. He nods his head whenever the Kashmir issue pops up. “We have a long-standing problem but we should keep some things separate. We have nothing to do with politics,” he says.